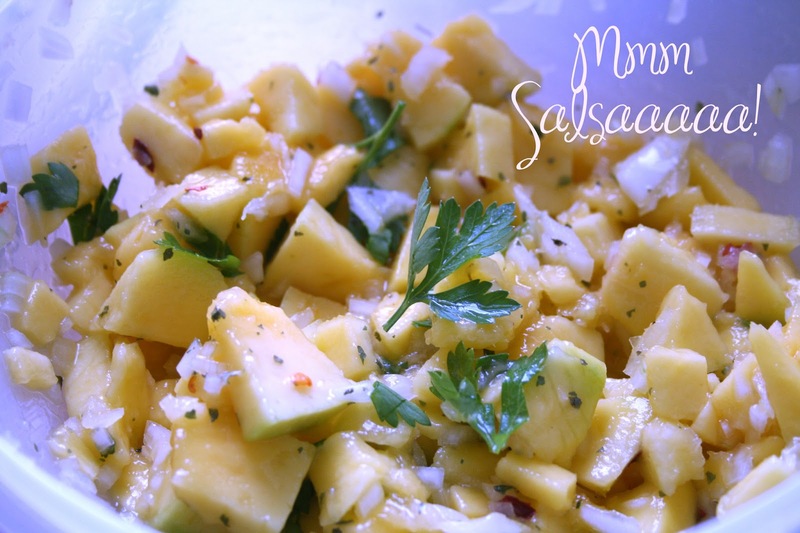 Cut the mango up into cubes and put in a bowl. Garnish with some more coriander or parsley. Serve as an accompaniment to a meal or with crisps!